Benjamin Franklin Parkway, commonly abbreviated to Ben Franklin Parkway, is a scenic boulevard that runs through the cultural heart of Philadelphia, Pennsylvania. Named for Founding Father Benjamin Franklin, the mile-long Parkway cuts diagonally across the grid plan pattern of Center City's Northwest quadrant. It starts at Philadelphia City Hall, curves around Logan Circle, and ends before the Philadelphia Museum of Art. 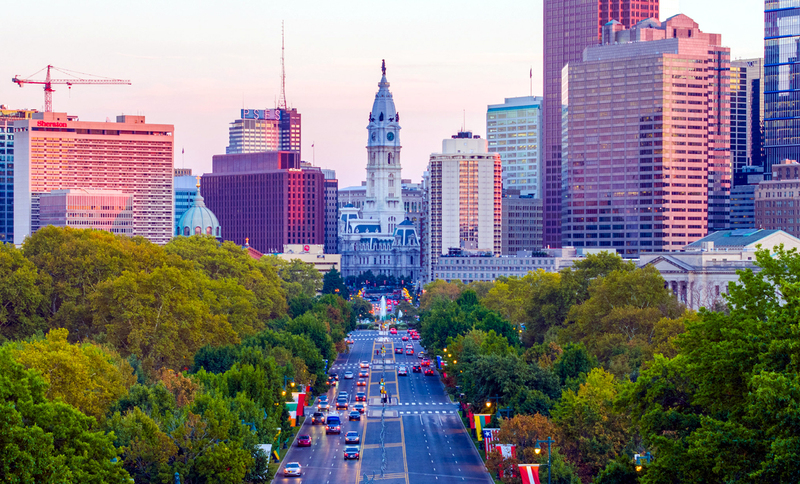 Logan Circle to the Philadelphia Museum of Art and boasts many cultural institutions along its broad boulevard. The beautiful, tree-lined parkway is a culturally rich area featuring world-renowned art museums including the Barnes Foundation, the Moore College of Art and Design and the Rodin Museum. Embrace Ben Franklin’s legacy of science and education at The Franklin Institute or come face-to-teeth with a giant T-Rex skeleton at the Academy of Natural Sciences of Drexel University. In the warmer months, families gather at Sister Cities Park to play in the kid-friendly fountains and refresh with a bite to eat at the on-site cafe. [post_ads]In the beginning, the Benjamin Franklin Parkway was an architect’s and a planner’s dream — something breathtakingly bold for the staid old city. Then it became a cultural mecca — a center for museums and educational institutions. Today the Parkway stands as a triumph in urban planning. Fountains, small parks, statues and monuments all lend a formality that gives the Benjamin Franklin Parkway its own special aura. This, of course, was not an accident. Photographs of the area before World War I show the cathedral and a stretch of road from Logan Square to Fairmount Park as a mass of buildings with no space at all between them.